Siem Reap is one of the tourist wonders in Cambodia due to the Angkor ruins. It is packed with boutique hotels, hotels, restaurants, bars and day/night tours. But if you ask for something beyond the temple ruins, there are actually more activities that the town has to offer. 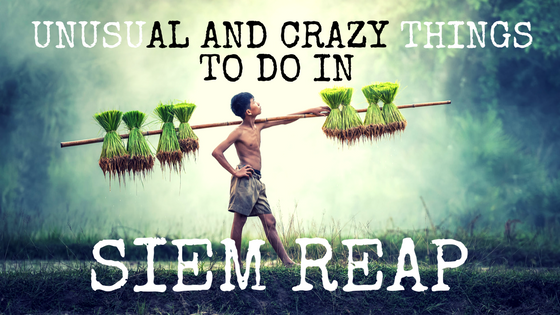 Surprise, surprise, here are 6 unusual and crazy things to do in Siem Reap. Visiting Siem Reap is incomplete without having food tour. Even though Cambodia dishes are not as famous Thailand dishes but there are lots of traditional culinary options to try. 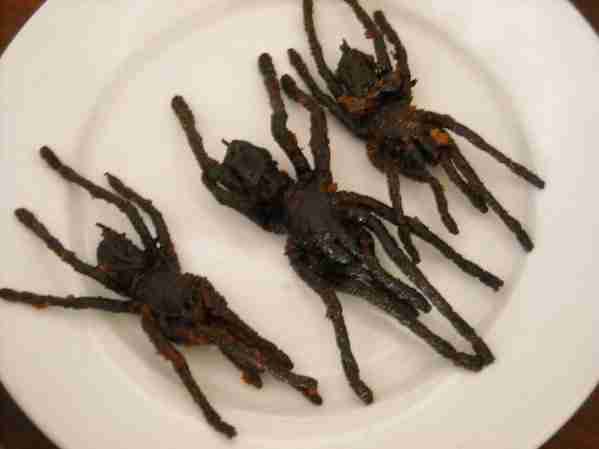 If you have the gut to taste the extreme food, you may want to try deep-fried tarantula. Yes, you read it right. Tarantula is like a normal food Cambodian people eat across the country. But if eating tarantula is not your thing, you can try tasting exotic fruits such as mango, dragon fruits, mangosteens, jackfruit, tamarind, star-fruits, and more. Try to visit the Old Market Psas Char in the town for a food tour. Floating village is another place to visit in which is the home for may Cham communities and many Vietnamese ethnic. Located in Tonle Sap Lake, the water and surrounding of the floating village are also the home for endangered marine life and birds. You can find many boat trips sail through the villages where you can see the people activities happen on floating boat. Ever wondering about the process of traditional beekeeping? Make sure to visit the beekeeping practice in Siem Reap. The place highlights the rare tradition of keeping a giant honeybee and turns the harvesting into business. You can have beekeeping tours which are an hour away from the city as well as bees tour within the city. Even though it is different from other tours, bees tour can be a great activity to see the surrounding area as well as learning something new. 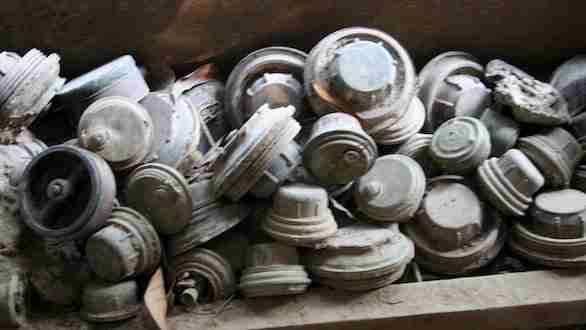 The Landmines museum in Cambodia was established by de-miner Aki Ra in the late 1990s. The museum is opened to help fund the landmine clearing because there are still landmines litter in the country until today. You can find a collection of landmines, tanks, and weapons from the Vietnamese occupation and Khmer Rouge. It is truly an eye-opening insight of unexploded objects which are left behind after decades of war and conflict. If you just have a long day hanging out with honey bees or visiting landmines collection or even eat tarantula, surely you deserve a nice massage. Okay, massage is not a crazy thing to do in the city but won’t it will be great after you discovered the above unusual things to do? A visit to Asia is incomplete without trying a nice massage. You can found plenty of cheap massage in Siem Reap. After the massage, perhaps you can have a nice treat of some good pizza or a couple of drinks. 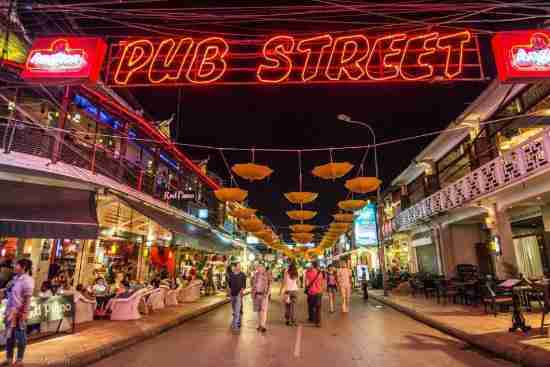 Pub street is as the name suggests, is a street full of pubs aka bars and places to eat. The bars on Pub street offer cheap drinks and its open til the early morning. While across from Pub Street there is the night market that sells stuff like Kampot peppers to counterfeit branded clothing. I hope you enjoyed this post about things to do in Siem Reap Cambodia were helpful. Please feel free to leave a comment. 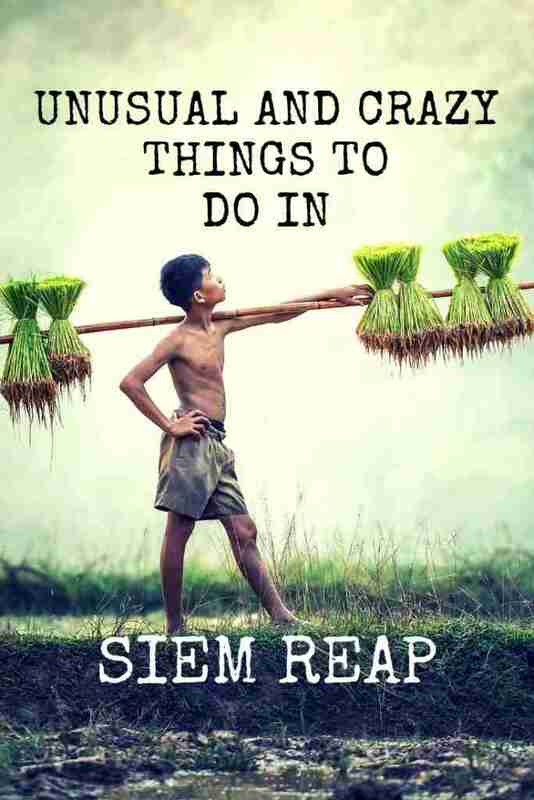 Or if you have any suggestions to add to Siem Reap or need more information about Siem Reap please leave a comment!